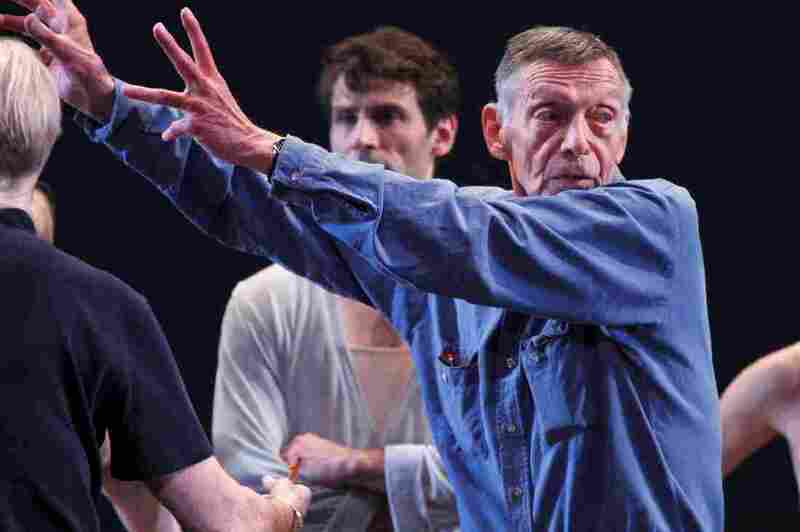 Paul Taylor, Giant Of Modern Dance, Has Died Among the most prolific and influential choreographers of 20th century movement, his movements were often inspired by everyday people doing everyday things. He died Wednesday at age 88. 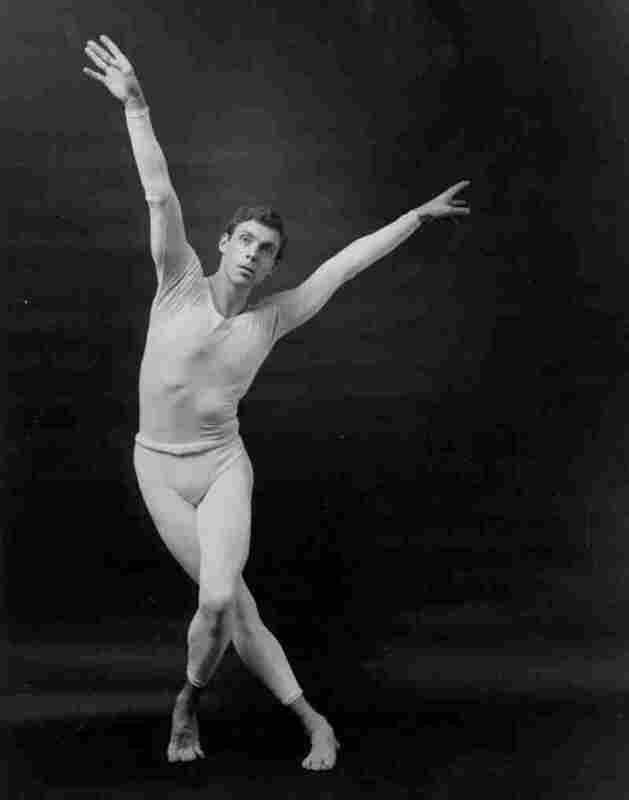 Paul Taylor, seen here directing the dance company that bears his name, left his major mark on the dance world as a choreographer. In his work Esplanade, the dancers are in reds, oranges, pinks. They're constantly moving — running, falling, slipping, tumbling. That's how Douglas Sonntag, the former director of dance for the National Endowment for the Arts, describes it. "Here's the thing about Paul Taylor's dances — they're very rich," Sonntag says. "There's a surface that you can look at, and it's shiny and bright. But there's also can be a subtext and a subtext below that. It can get very dark or it can get very, just sort of human in the fact that, you know, people are complicated and things aren't necessarily straightforward." Paul Taylor was born in 1930 just outside of Pittsburgh. He wanted to be a painter, and attended Syracuse University on a swimming scholarship to pay for it. And then, he told NPR in 2004, something changed. He was discouraged about painting and went into the library. "And I picked up a dance magazine, picked up some dance books and then looked at the pictures," Taylor said. "And I like to move and I thought, 'Well, maybe that's it. I'll just try that.' So I left college and came to New York to take dance classes." He went to the Julliard School and began a career dancing at the age of 22 — relatively old in the world of dance. Once in New York he embedded himself in the contemporary arts scene, collaborating with the likes of artist Robert Rauschenberg and composer John Cage. He formed his own company but stopped dancing in 1974, at the age of 44, after collapsing onstage. In any event, he would truly leave his mark in the dance world as a choreographer. A work like Eventide showed that he was a sharp observer of the details of how people lived, even something as minute as how they walked. "I happen to think it's beautiful," Taylor said to NPR. "If it's structured well and framed, it can be something to watch. If you give a dancer no steps to hide behind, no dance steps, and you just make them walk, they become really revealed. You really can tell what kind of people they are. It's like being naked, practically." But it was still thrilling, says Orion Duckstein, formerly an 11-year veteran of the Paul Taylor Dance Company. "Paul will ask for tremendous changes of direction," Duckstein said to NPR in 2004. "And he'll ask for these things, and you'll think, `Well, that's not po — well, all right, I'll try.'" Taylor got his dancers to try because of the kind of person he was. "His extraordinary dry sense of humor, which kind of attract me personally to him," says dancer Mikhail Baryshnikov. "He was [an] amazing person. ... I really truly believe his work will live on for a very, very long time." In 2008, Paul Taylor wrote an op-ed for The Wall Street Journal describing why he made dances. It included a lot of the usual reasons for making art — to feel less alone, to offer reprieve from the world. But then he also wrote: "because I want people to know about themselves ..."